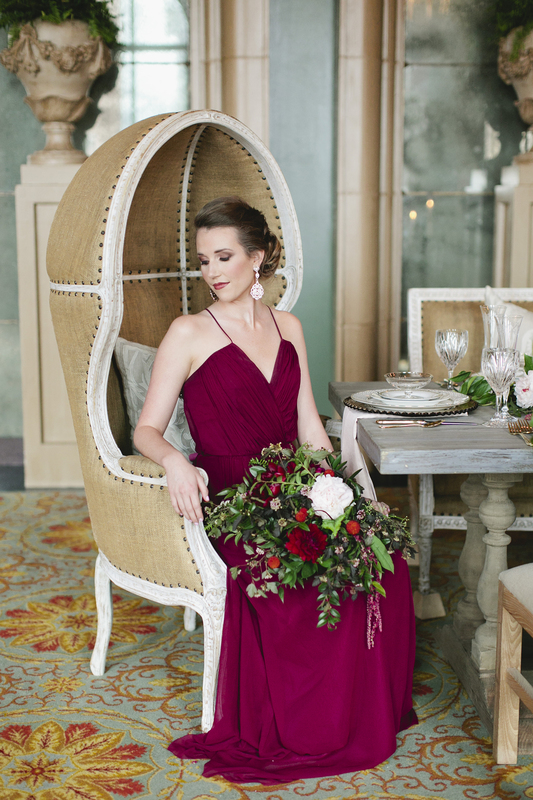 The Brides of North Texas Magazine had the best of Dallas’ wedding vendors come together to create a perfect Texas wine country photo shoot. 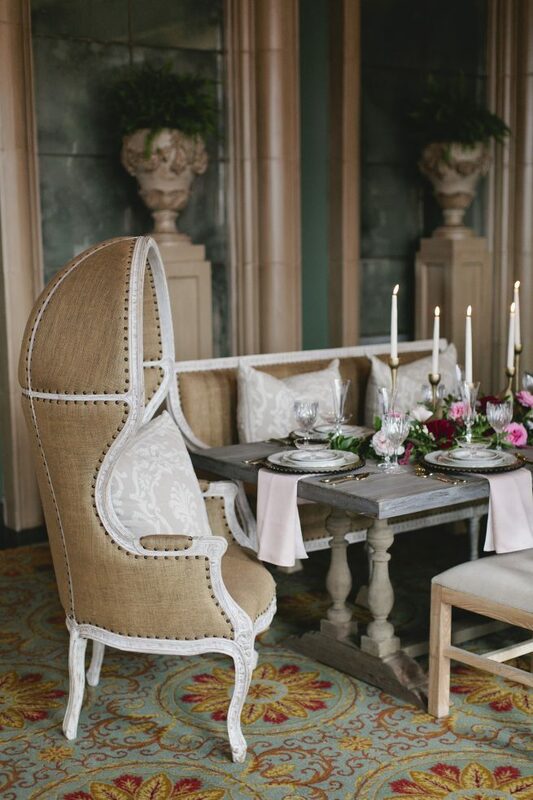 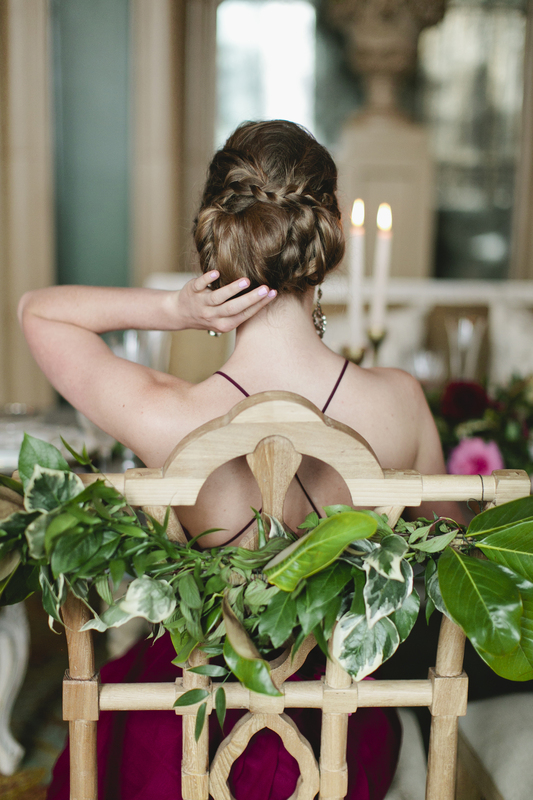 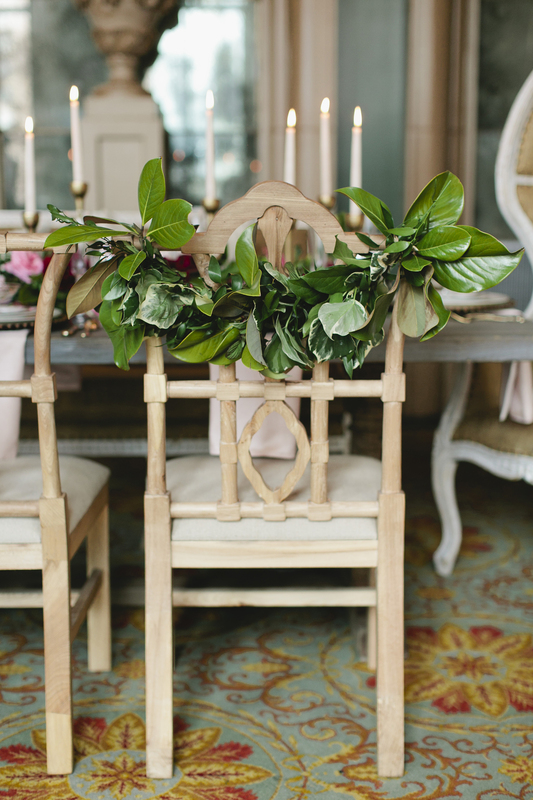 The shoot is to inspire brides and grooms and show what Dallas Ft. Worth vendors can design for their event. 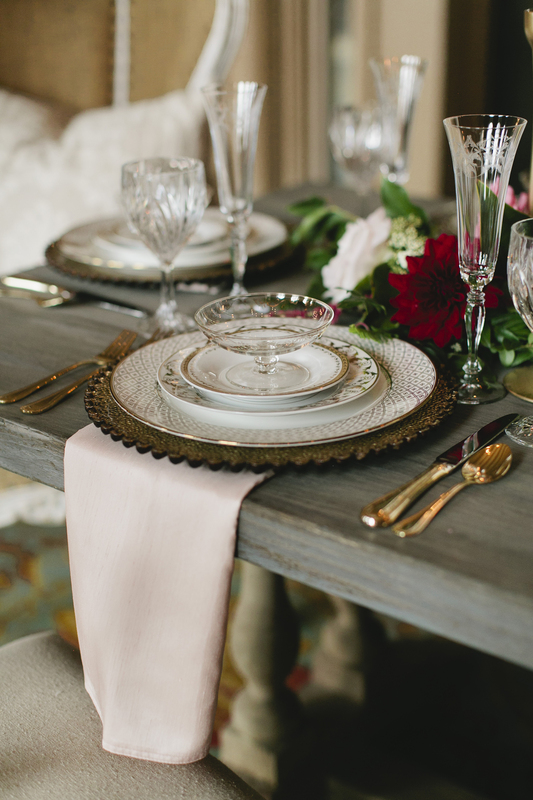 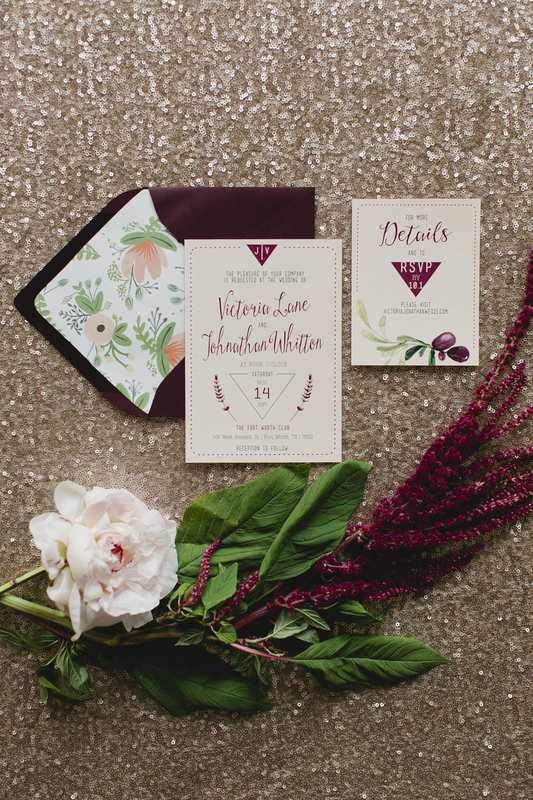 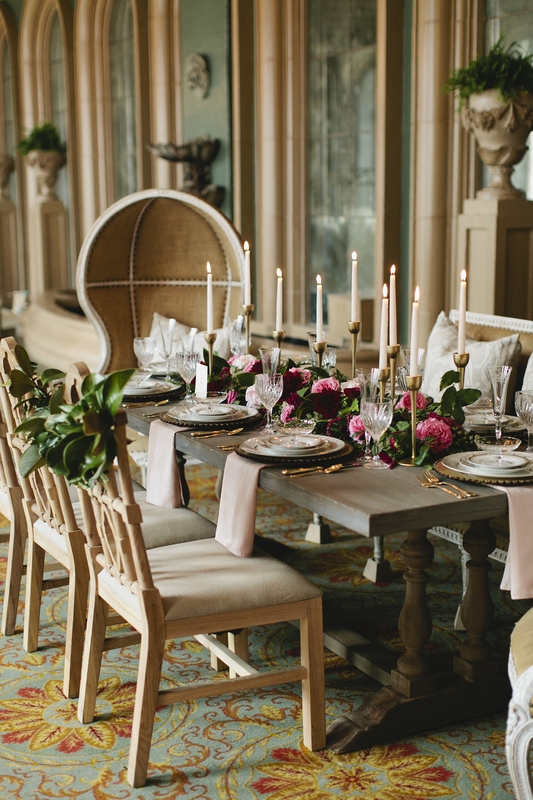 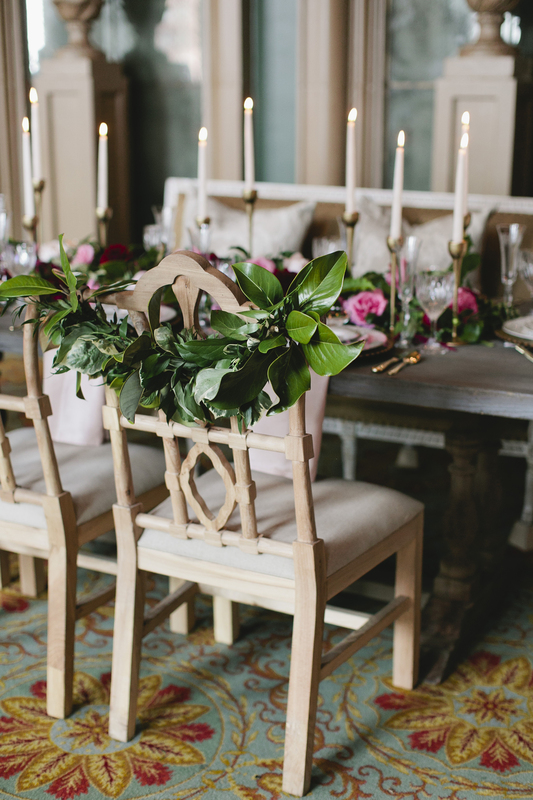 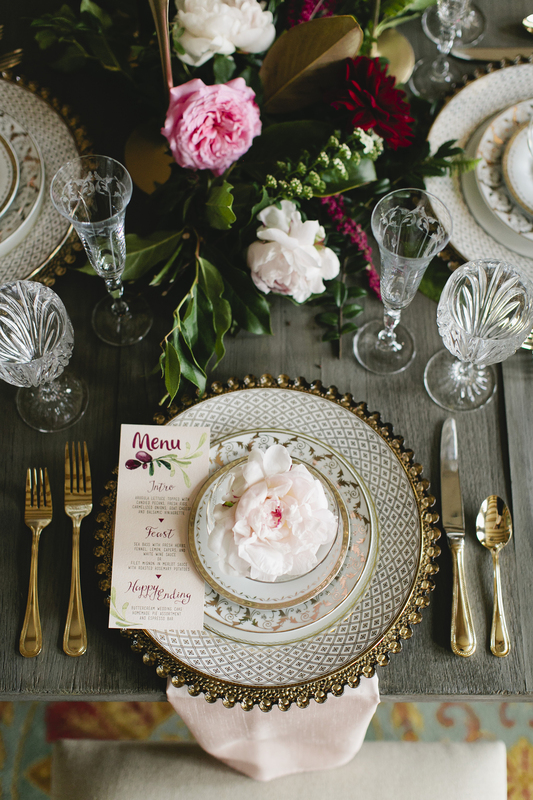 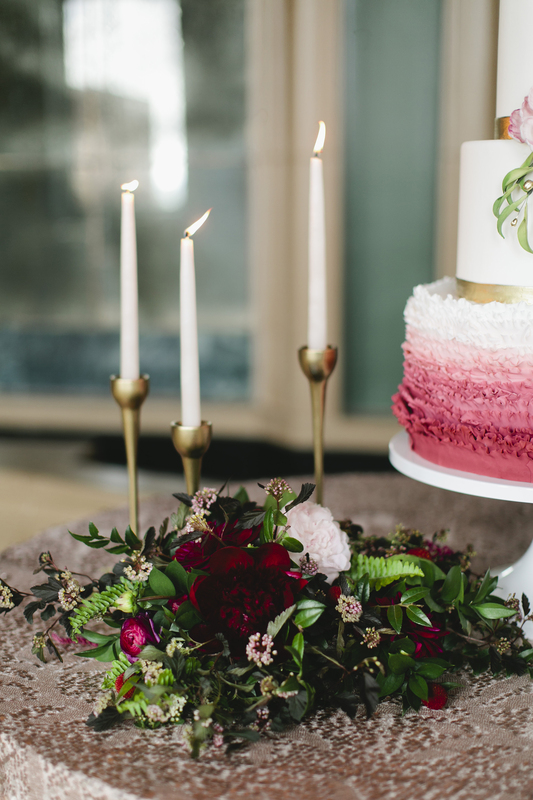 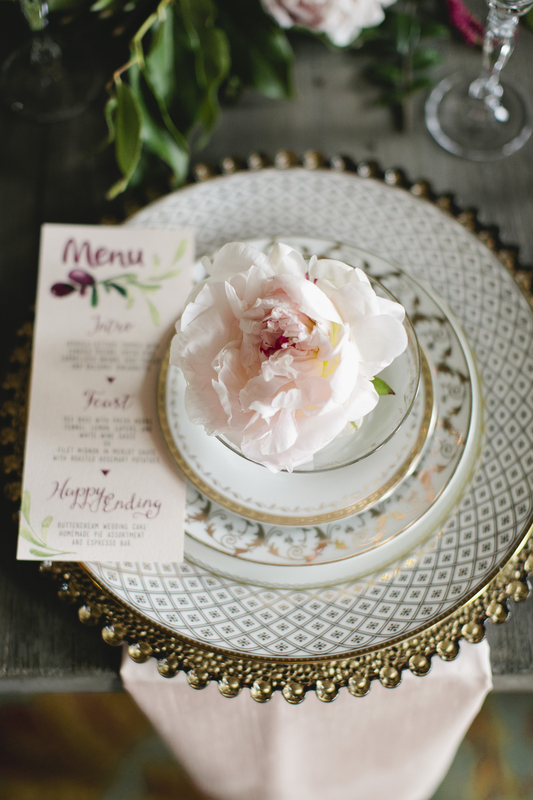 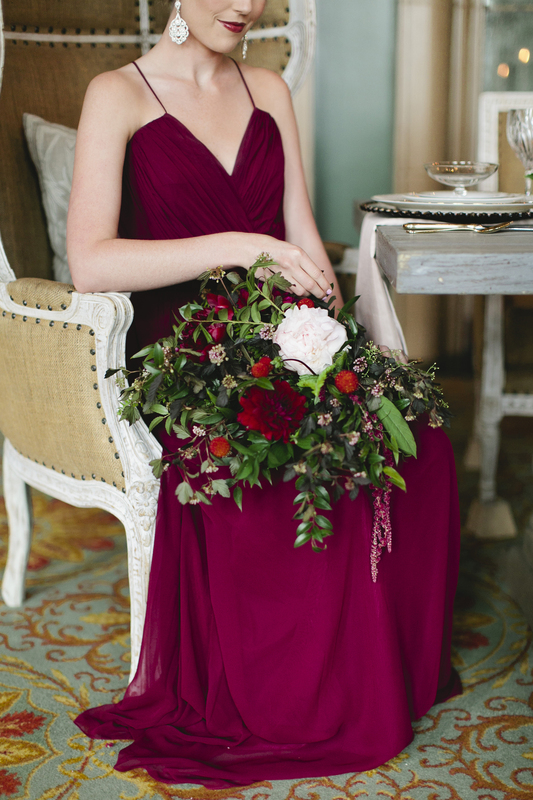 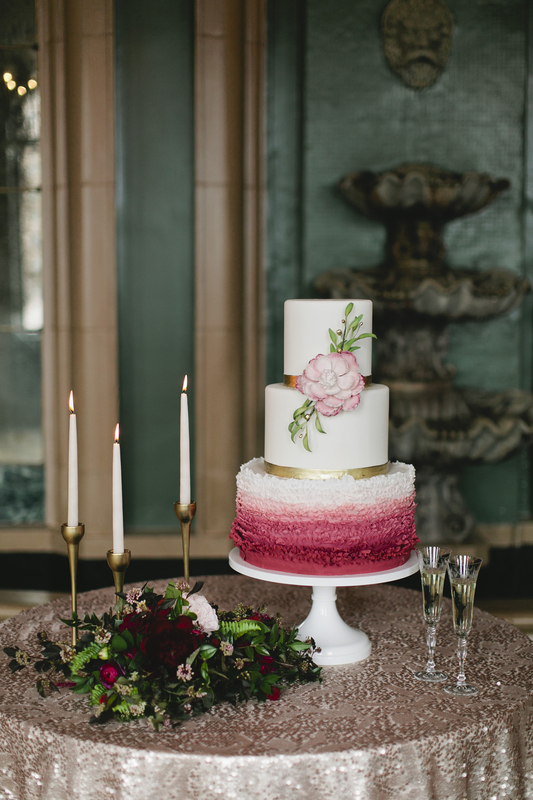 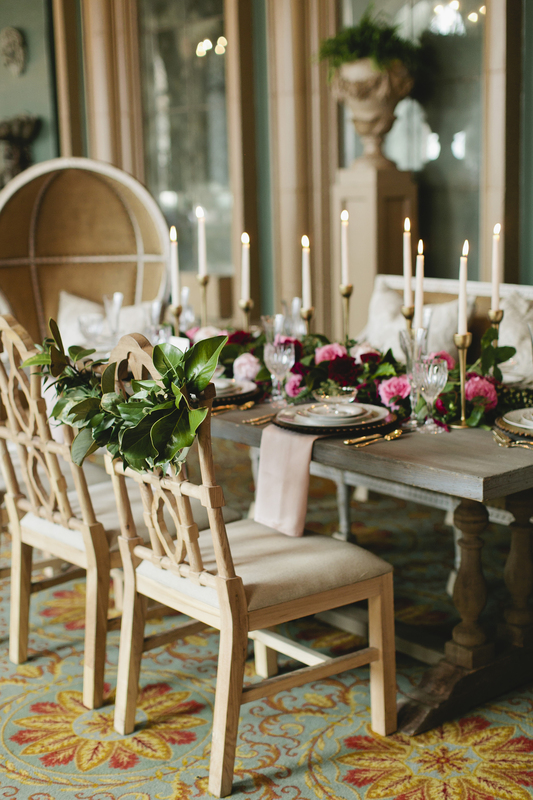 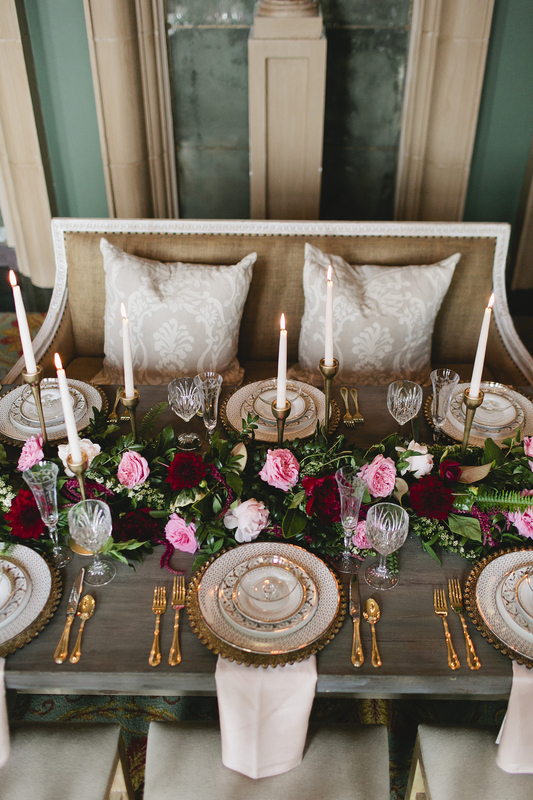 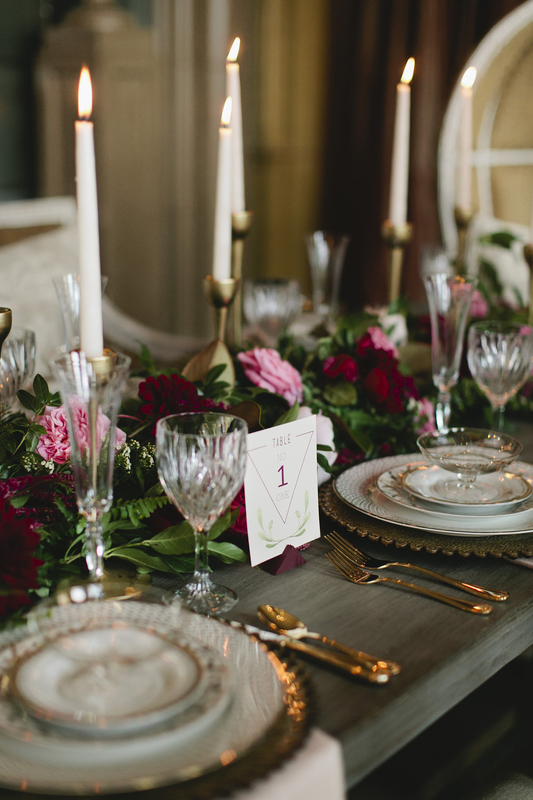 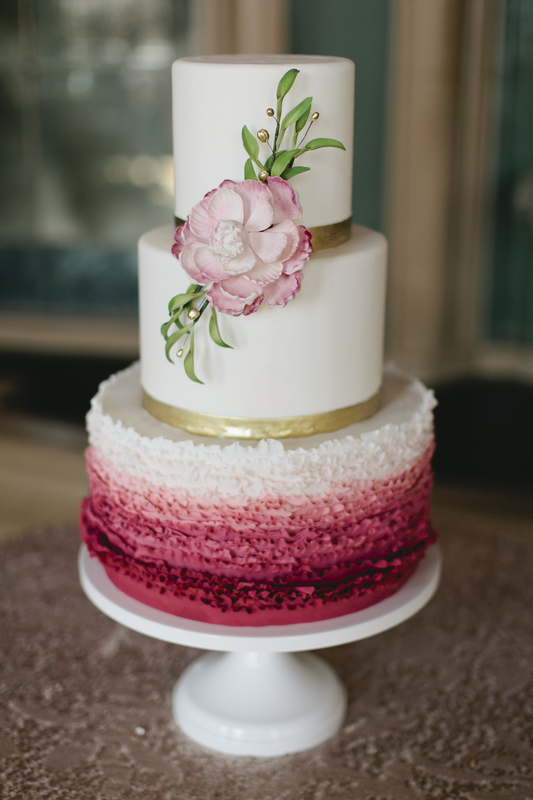 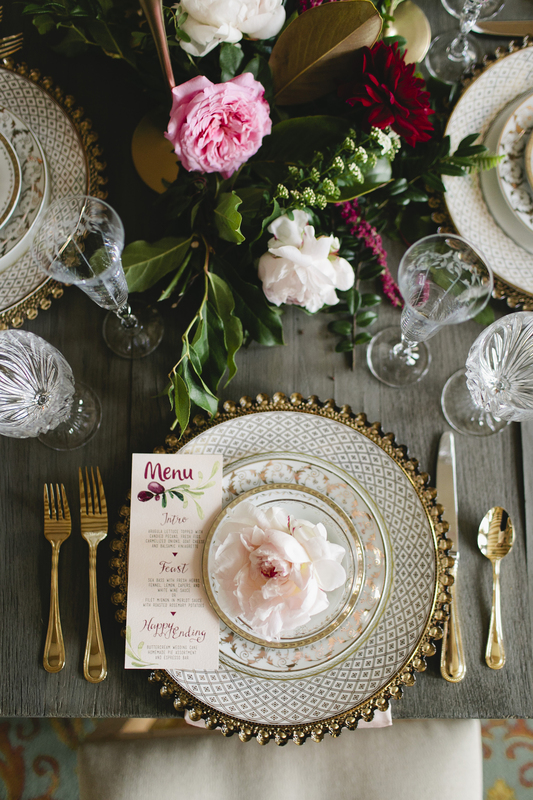 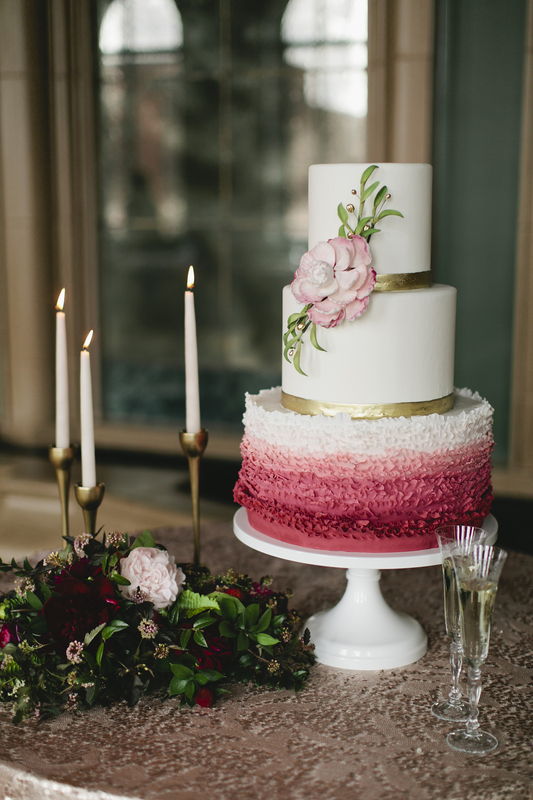 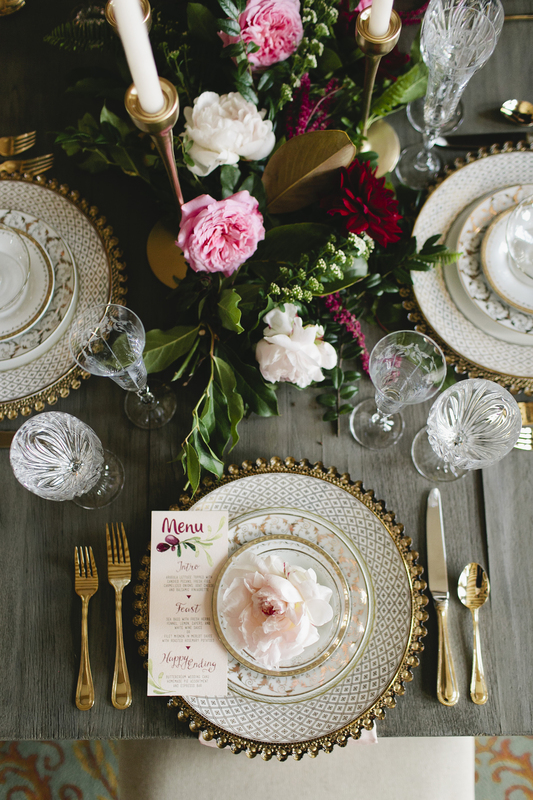 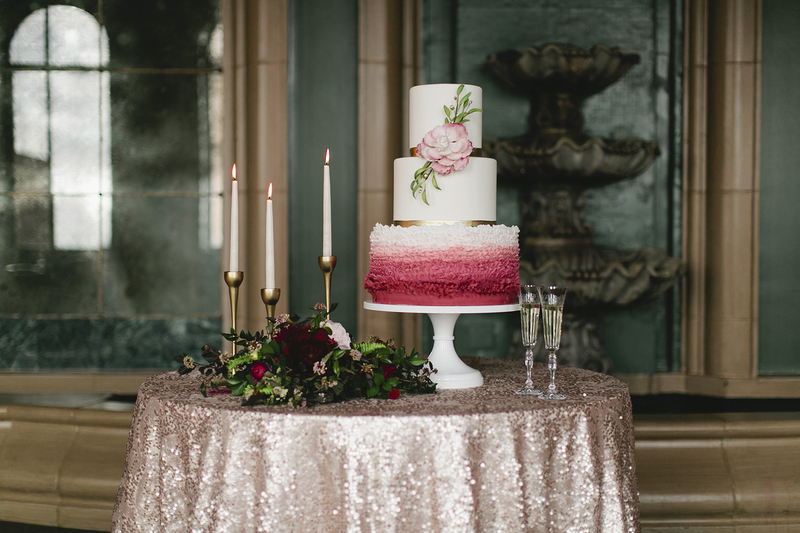 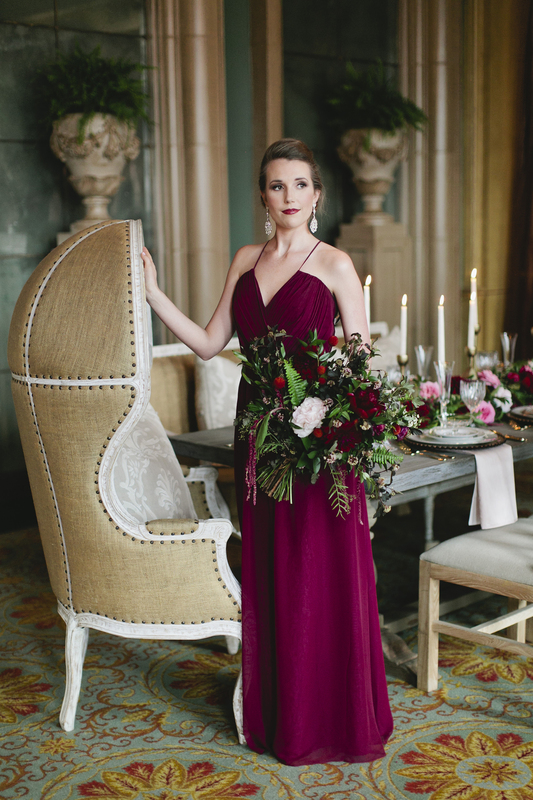 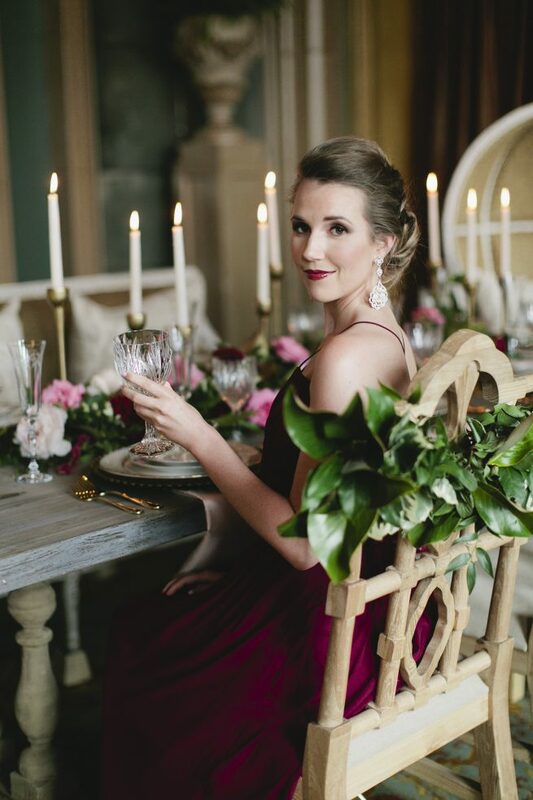 Deep merlots and Bordeaux colors set the tone for the pop of blush and pink floral designs. 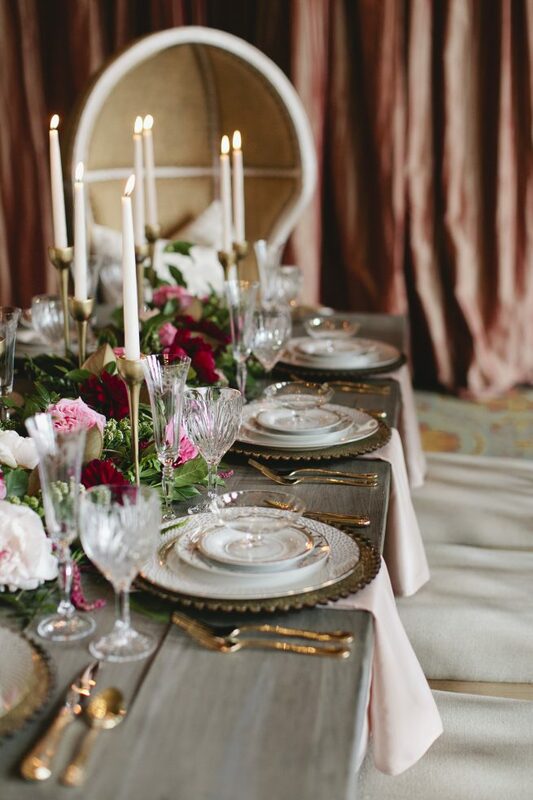 The garland down the middle of the head table with lots of candles was the hit of the party. 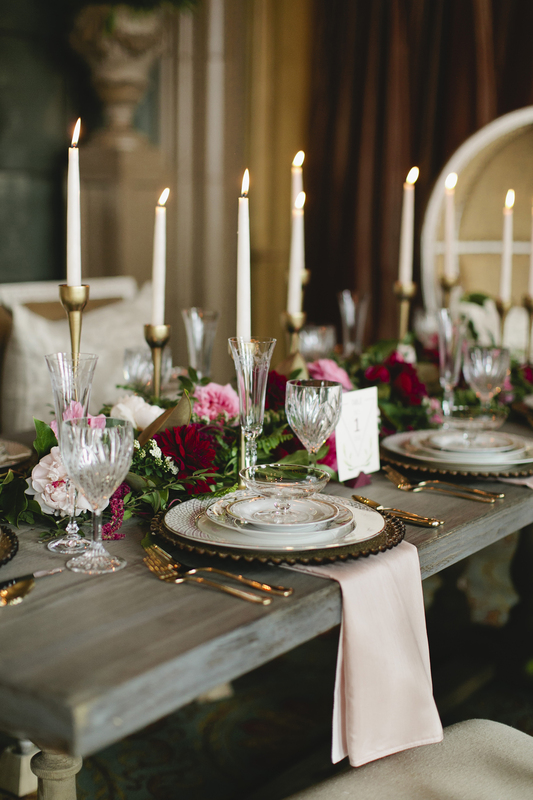 Beautiful candlelight is the best addition to the centerpieces. 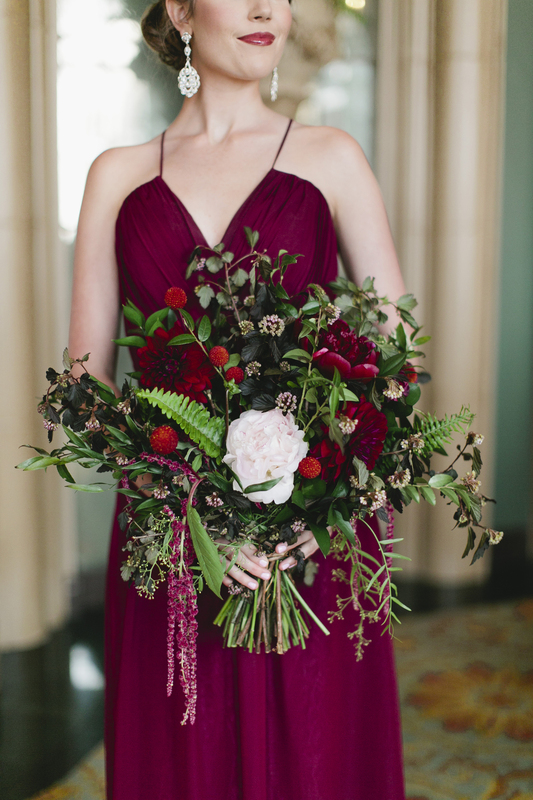 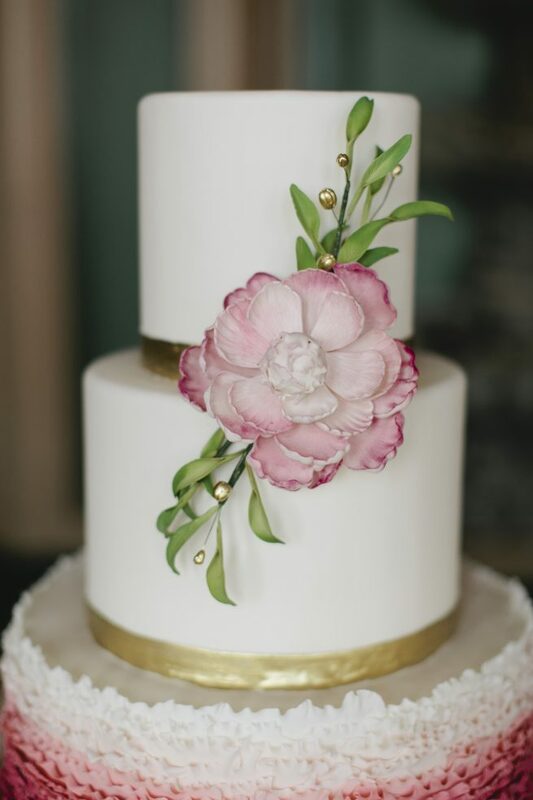 Blush Peonies, Merlot Dahlia, Burgundy Amaranthus, and Pink Garden Roses created the prettiest design perfect for fall weddings or even a spring wedding.